Honda Car Insurance, Compare Honda Insurance Quotes & Save! Considering Honda car insurance? Own a Honda or thinking about getting one? 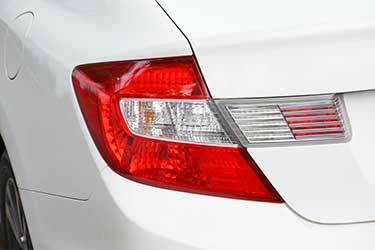 Honda is one of the most recognizable names in the auto industry. 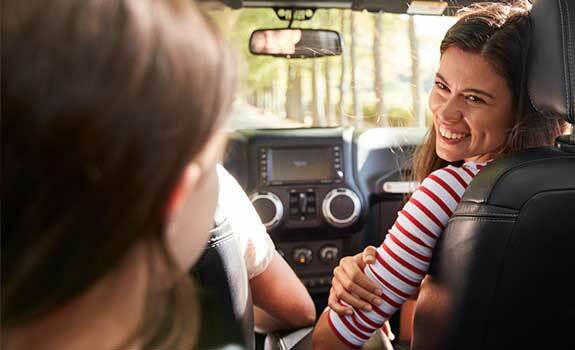 The company regularly is in the top 3 of vehicle makes by market share in Canada each year. You don’t have to drive for long to see a Honda vehicle on the road. Millions of Canadians drive Hondas. Having the right car insurance for Honda vehicles is important. We know you want affordable and reliable coverage. At ThinkInsure, our brokers can help you find the lowest rates and best coverage for all Honda makes and models. Simply contact us to compare quotes and save. Honda Canada has been a staple in the Canadian auto industry for decades. Founded in 1969 as a motorcycle and power equipment manufacturer, the Japanese company has developed into a leading automotive brand. The company’s most recognizable model, the Honda Civic made its debut in 1973, with the Accord hitting the market only a few years later, in 1976. In 1988, the company opened its first Canadian manufacturing plant in Alliston, Ontario. In 1991, the one-millionth Honda vehicle was sold in Canada and the organization has grown by leaps since then, adding a variety of new vehicles to its line-up. Civics, Accords, and CR-Vs are seen on roadways across the country. In fact, the CR-V is currently the bestselling crossover/SUVs on the market and the Civic is regularly the top selling car in Canada. Honda models reliability and affordability has made it a preferred vehicle for consumers. When you think of Honda, the Civic is the first car that comes to mind for most drivers. In fact, the Civic has been Canada’s bestselling car and top vehicle since 1997 – 20 straight years. Over 1.8 million Honda Civics have been purchased in Canada and sales remain steady. Need Honda Civic insurance? Contact our brokers today for a hassle free quote! The Honda Accord is one of the bestselling vehicles of all time. It’s known for its reliability, durability, and strong safety rating. The vehicle is popular because of its variety of models, trim, technology, and features. The Accord is worth considering if you are looking for a mid-size car. Need Honda Accord insurance? Contact our brokers to get a free car insurance quote. How Much Does Honda Car Insurance Cost? Honda insurance rates are similar to those of other auto brands. Some models, such as the Civic and Accord do have slightly higher rates because they are regularly on the most stolen list. Taking additional steps to prevent theft and adding theft prevention features can help keep your rates down. Average insurance rates for Honda vehicles are comparable to the average car insurance rates found in your province. As with any vehicle, insurance rates vary based on your coverage, location, and driving history. Shopping for insurance and comparing Honda car insurance quotes is the best way to get the cheapest insurance rates. What Factors Impact Honda Auto Insurance Quotes? Theft rate : The Honda Civic and Accord are regularly two of the most stolen vehicles. They are targeted by thieves for their parts. This means these vehicles commonly have higher than normal premiums compared to other similar vehicle models. Reliability : Honda vehicles are reliable. 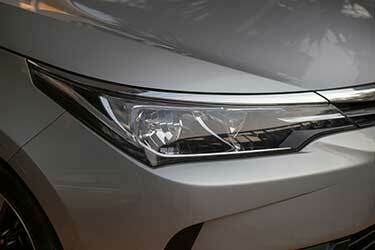 Feature and designs of Honda vehicles make them less likely to break down and stand the test of time. Strong safety rating : Honda vehicles are considered to be very safe vehicles to drive. They regularly receive strong safety ratings, helping to lower auto insurance premiums. Affordable repair costs : Honda vehicles are one of the least expensive to repair. Honda parts are readily available and less expensive than many other vehicle brands. This helps to lower Honda auto insurance quotes. Location : Where you live and drive matters. If you reside in a region with high theft and accident rates, expect your insurance rates to increase. Honda insurance quotes for the same vehicle will vary based on where you live in Canada. Take advantage of safety feature options : Honda models offer a variety of additional vehicle safety features such as driver assist and dash cams. Adding these features will help lower your rates. Choose models with lower average insurance rates : The model of vehicle and features you choose will impact rates. Consider a sedan or compact car over sporty model to keep insurance costs down. Choose a used car : Used vehicles are generally cheaper to insurance than new. The used CR-V or Odyssey is regarded as one of the cheapest used cars to insure. How Do I Get Cheap Honda Car Insurance? Getting cheap Honda car insurance rates is the same as with other vehicle brands. 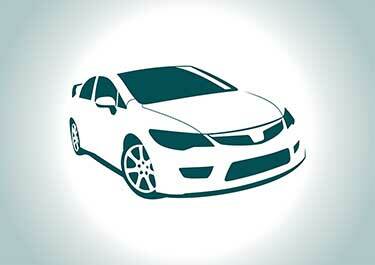 You need to compare Honda car insurance quotes with a broker to explore your coverage options. Bundle coverage : Combining home and auto insurance will automatically qualify you for an insurance discount. Shop around : Insurance rates for Honda models vary from insurer to insurer. Make sure you shop around to find the cheapest rates for your Honda vehicle. Compare quotes : Comparing insurance quotes regular will help you get the lowest Honda insurance rates. Where Can I Get Honda Insurance? You can get Honda car insurance right here at ThinkInsure. Our brokers can help you get coverage for any Honda make or model. Simply contact us today to compare quotes and save. Does Honda Lease Include GAP Insurance? GAP insurance may or may not be included in your Honda lease agreement. Speak with your Honda sales representative for clarification. You may also want to consider adding the OPCF 43 – Removing Depreciation Deduction enhancement to your policy to remove your insurer’s right to deduct depreciation from the value of your vehicle in the develop of a total loss claim. Do Honda Insurance Rates Vary By Make and Model? Yes. Honda auto insurance rates will vary based on the vehicle make, model, year, features, and many other factors. Get an insurance quote to get an accurate assessment of your Honda vehicle insurance options. Own a Honda? Want to price out Honda insurance rates? Contact our brokers today to get a free insurance quote for any Honda make or model. We’ll help you get the cheapest rates and save. Call 1-855-550-5515 today!